Vivekanandan Manokaran - The Weblog of a Software Engineer: Get the Vivsoft Resource Centre fans banner and fix it in your site. 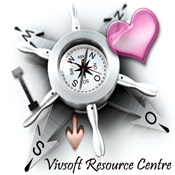 Get the Vivsoft Resource Centre fans banner and fix it in your site. If you are really happy with the products of Vivsoft Resource Centre then just fix this image banner in your blog or web page and so your friends may also know about Vivsoft Resource Centre.